HI isn’t just a greeting at this centrally located spot. The acronym stands for Hostelling International, a nonprofit that runs hostels across the globe. 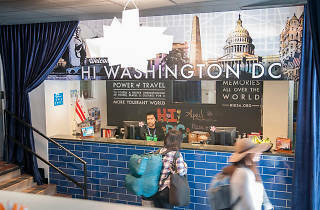 The wheelchair-accessible accommodations in DC can be identified by the row of flags above the door, and inside you’ll find clean, bright, modern and colorful digs filled with friendly budget-minded travelers from many nations, a game room and a full self-service kitchen. Some rooms feature bunk beds while others have doubles, but hostels aren’t exactly known for privacy, so this isn’t ideal for most couples. 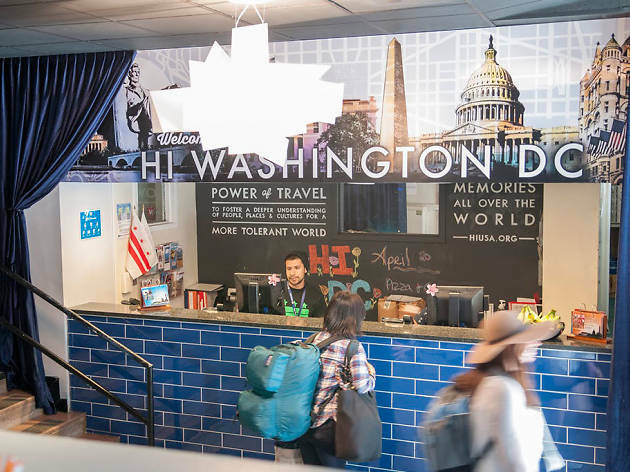 Guests do need to be members of Hostelling International, but a daily $3 temporary membership fee can be tacked onto your rate if you’re not a member. Time Out tip: Check the activity board for neighborhood tours led by local volunteers, trivia nights at a nearby pub or other free events.